HUSTON, Texas, Feb. 21, 2012 - We’ve all heard the saying “Built Ford Tough” what seems like a million times. To make that statement more than a catchphrase, Ford Motor Company really goes out and proves itself time and time again. This time, Ford sent the F-150 down to Texas this past October to wrangle with 45 other entrants for the Texas Truck Rodeo. The F-150 had no trouble snagging the overall “Truck of Texas” award. 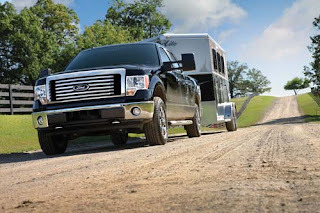 The F-150 was easily a top contender with Best-in-Class Towing and Best-in-Class Payload backed with 3.7L V6 (or a 3.5L V6 with EcoBoost for enhanced fuel economy), a 5.0L V8, or the whopping 6.2LV8 with 411 horsepower and 434 ft-lbs of torque. 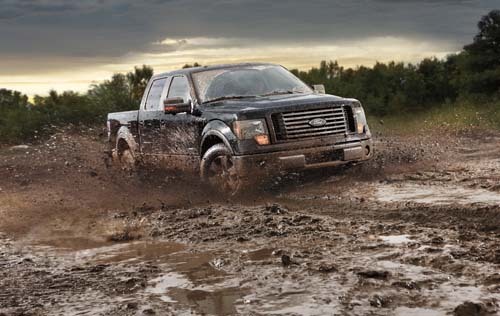 Stop into Brighton Ford and test drive a F-150 and see what “Built Ford Tough” means for yourself. I shall come back in order to read through your blog posts. Good information again. I am looking forward for your next post! I really respect your blog! Great job on the concept of your website.